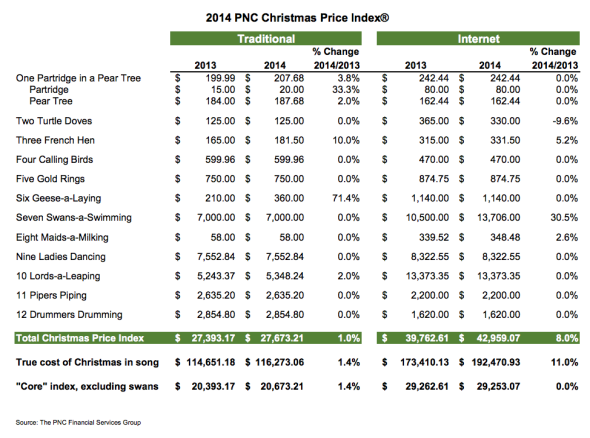 PNC Christmas Price Index: What 12 days of Christmas presents would cost in 2014. Christmas birds are no bargain. 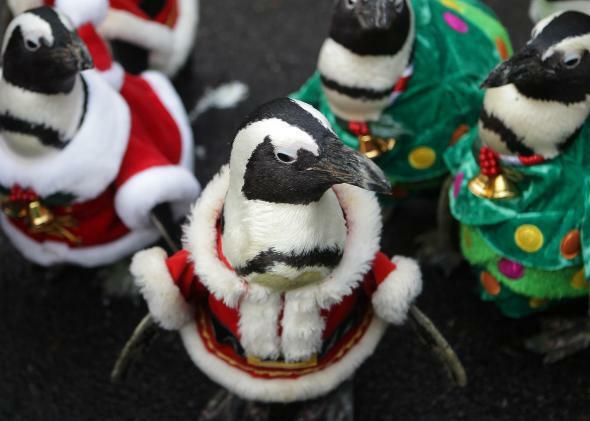 The cost of Christmas is up 1 percent, according to PNC. The bank calculates a Christmas Price Index based on the song “The Twelve Days of Christmas.” This year, buying the whole song will set you back $27,673.21. Most of the 12 goods and services that go into the index were unchanged, even the price of swans ($7,000), which has traditionally been the most volatile. “While there are exceptions in given years, what’s most interesting about the index’s history is that since the beginning, year-over-year increases have averaged 2.8 percent, which is exactly the same number as the U.S. inflation index,” according to Jim Dunigan, the chief investment officer at PNC Wealth Management. The real lesson here seems to be: Don’t try to buy your birds online. There’s no word yet on how the Fed might take this into account when it comes to rate hikes.